Over the course of the 23+ years that eBay has been a thing (including its original incarnation as AuctionWeb), I can recall buying one thing from the site. It was a memorabilia poster of some kind (I can’t remember anything more than that) back when I was in law school. The mechanism of scoring great deals on hard to find items through winning an auction never caught on with me. Nevertheless, every time I rate my Uber driver or check user reviews of a restaurant on Yelp, I’m enjoying the fruits of the forest eBay planted. I confess to being surprised to learn that eBay is still an online retailing juggernaut, ranking #4 among online marketplace sites and boasting a market cap of over $35 billion. Not bad for a tech dinosaur most associated with the ridiculousness of the Beanie Baby mania of the 1990’s — classically illustrated by the divorced couple manually dividing their Beanie Baby collection on the floor of divorce court. Childhood Virus Linked to Alzheimer’s? This isn’t the first time scientists have claimed that microbes (whether viral or bacterial in nature) may be related to the mysterious cause of this vicious disease. What is new is the virus being linked. Previous studies have focused on the herpes simplex virus type 1 (HSV1). This new study has identified two different herpes viruses — HHV-6) and HHV-7 — which are the cause of the common childhood illness roseola. Even more interesting than the viruses identified are the way researches did so – by examining the brain tissue donated by the families of people who died from Alzheimer’s. This is just another reminder of how our own brains are the real uncharted “final frontier.” We know so little about how they work. The depth of our ignorance becomes more exposed on a seemingly daily basis by tragic stories like this one. Last month I drove nine hours to Princeton, NJ, to see Edward Tufte speak. He’s been called the “da Vinci of Data” and the “Galileo of Graphs,” and his books are as much works of art in themselves as they are instructive resources for how to use design principles in making quantitative data come alive visually. His thesis is simple: how we think about data should shape how we display it, because how we display data will shape how others think about it. Tufte’s analysis of how the data display choices contributed to the fatal decision to launch the Space Shuttle Challenger on January 28, 1986 is masterful. Those things aside, the author of this article is right: Tufte’s railings against PowerPoint as a tool are misplaced. Yes, the default stylistic settings are almost always a poor way to display information, but that is easily corrected by some effort and thought by the user … the very things Tufte’s work encourages. They are easily corrected for the very reason that PowerPoint is a remarkably flexible platform on which to design information displays, enabling users to combine a variety of data formats into an end product that is limited only by the user’s imagination. The firm has been working to build these rules into an algorithm that automates much of the firm’s operational decision making. Given the complaints of some as to how the Dalio Way ends up treating its own people, what could possibly go wrong? FYI: In a conversation, Dalio/Bridgewater “model” came up. I said I think it is the most awful and inhumane management approach I have come across since I matriculated at the Stanford Graduate School of Business 47 years and 10 months ago. 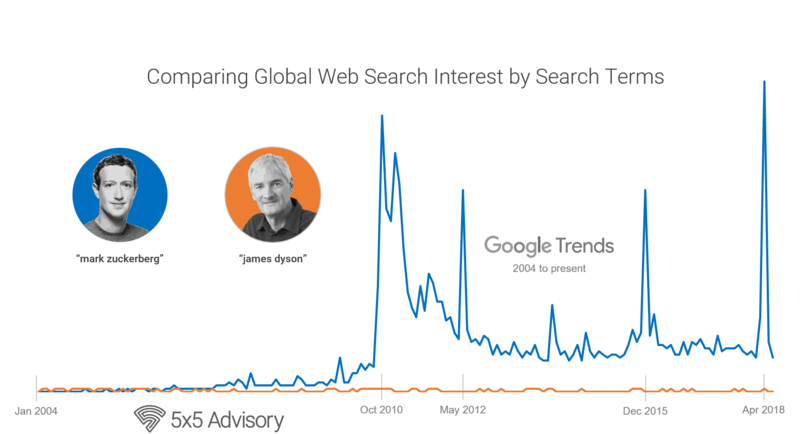 For all the press and celebrity Silicon Valley tech CEO’s garner as inventors of new technologies, it amazes me that Sir James Dyson remains comparatively hidden in relative obscurity (see below). The engineer whose namesake company is revolutionizing how electricity and air interact in productive ways has far more tricks up his inventive sleeve than just a new take on the vacuum. From blade-less fans to electric cars (!) to turning “air knives” into material-free gates/doors, Dyson is a modern day Edison. Rather than the kind of inventiveness that turns data into dollars through a smartphone app, Dyson continues to use mechanical engineering to invent physical things that make aspects of life actually better. The first CEO to face a criminal indictment this past week was Theranos founder and CEO, Elizabeth Holmes. The news is hardly surprising given both the scale of the investor fraud Holmes and her boyfriend/COO Ramesh “Sunny” Balwani pulled off — over $700 million in funding raised — as well as the potentially life-endangering fraud perpetrated on the patients and doctors who used Theranos’ now invalidated blood tests. As if that wasn’t enough, Holmes had made a habit of hoodwinking more than a few politically powerful players, whether as investors, board members, or as public relations props. Three days later, it was Rupert Stadler’s turn, as the first criminal shoe to drop in the Volkswagen diesel-emissions cheating scandal fell on the CEO of Audi, the German luxury car maker owned by VW. Unlike Theranos’ Holmes, Stadler was actually arrested and remains behind bars, but not for acts associated with the cheating. Rather, Munich prosecutors allege that Stadler’s detention was necessary to prevent him from exerting improper influence on witnesses as the scandal is still being investigated. It will be interesting to see if these criminal charges stick and result in long-term prison time, something that has eluded everyone involved in the 2008 financial meltdown and hasn’t gone unnoticed. Is the Alexa Prize Doomed to Failure? The rules for Amazon’s now annual contest are pretty straightforward: “just create a chatbot using Alexa that can talk to a human for 20 minutes without messing up, and you get a $1.5 million prize (with $2 million in other grants and prizes).” This article is not only an interesting look into the challenges of AI-assistant programming and machine learning. It is also a remarkable mirror reflecting just how amazing the human brain is, with it’s ability to organically learn all the rules (hard, soft, unwritten) of speech and deliver it endlessly in an engaging way before it can do basic addition. Speaking of the brains of kids, this NPR article highlights a new study coming out of my own backyard down at Cincinnati Children’s Hospital. By using fMRI scans of children at around four years old, researchers mapped how engaged the various centers of the brain are when presented with stories in one of three formats: audio only, a storybook with illustrated pages and an audio voiceover, and an animated cartoon. The most interesting part of this isn’t in the conclusion of which medium is best (it should be obvious), but why. As my professional educator/reading expert Wife has explained many times before, there are many layers of skills that are developed well below the surface as a child is passively sitting on a parent’s lap, listening to a story. These skills are necessary for not just reading and comprehension, but also language development and critical thinking. By reading to your young kids on a regular basis, you are doing cognitive programming work that the Alexa Prize teams can only dream of! When most people hear the word “blockchain,” eyes either glaze over or they simulate the rotating wheels of a casino slot machine. There are a lot of explainers out there attempting to clarify the benefits of blockchain, but such conversations inevitably move from how the technology works (distributed ledger, etc) to crytocurrencies like Bitcoin, and end with some vague references to sectors that could benefit from the technology. A recent study by the Stanford Graduate School of Business aims to more clearly lay out just how this hard-to-grasp technology can actually impact things like foreign aid delivery and medical record portability and protection. I was dumbfounded to read that the state of Montana (!) pioneered putting blockchain technology to use as the means for voters to cast absentee ballots in the 2016 election. Meanwhile, down in Texas, the City of Austin is using blockchain technology in its delivery of social services to its homeless population. 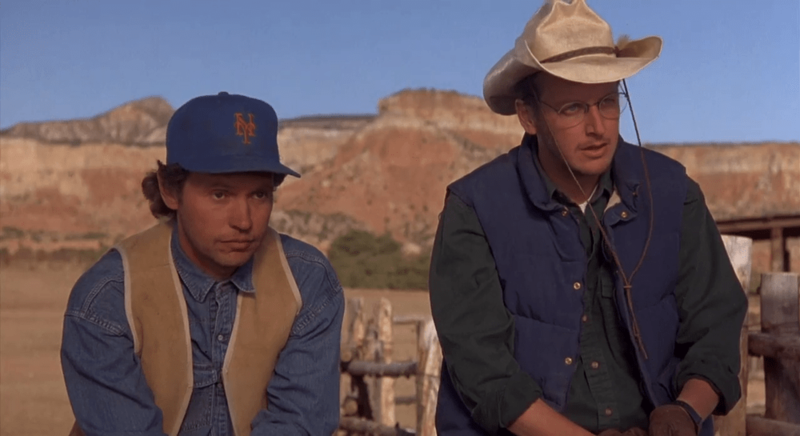 Who would’ve guessed that cowboy country would be the forefront of the blockchain implementation revolution? On a flight last week, I sat across the aisle from a young couple and their toddler-aged son. The little boy was horizontal in his Mommy’s lap and blissfully sleeping as we backed away from the jetway. Blissfully asleep, that is, until the flight attendant arrived to tell the couple that their child needed to be sitting upright in his own seat for takeoff. After a second instruction minutes later, the Dad responded back with an exasperated “are you serious?” — a response anyone who has had to fly with a non-sleeping toddler can understand. The flight attendant’s response was classic bureaucratese: “Sorry. FAA regulations.” The only thing missing from this substitution of judgment with blind rule-following was a ¯\_(ツ)_/¯. I was reminded of this while reading about the latest child-operated lemonade stand to get shut down for failure to have a government-issued permit. 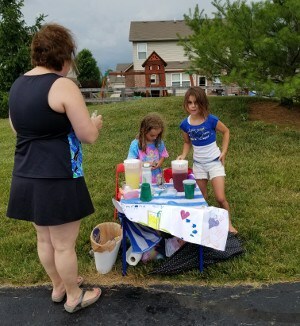 Add this one to the long list of permit and zoning rules being used to crack down on 1st graders slinging summer refreshment at a card table for mere coins. But now, kids no longer have to resign themselves to surrendering their lemon-shaded entrepreneurial dreams. In a new video ad campaign, the makers of Country-Time Lemonade have pledged to pay the fines and permit costs of any kid needing the assistance. To put “Big Lemonade’s” team of lawyers and pocketbook to work for you, visit https://www.countrytimelegalade.com/. Actually, the wisdom from this Wall Street Journal piece is hardly limited to the tech space. Regardless of the economic sector or organizational mission, turning people into larger-than-life celebrities is a weird human tendency that amplifies the risk of bad outcomes while focusing outsized rewards onto a discrete few. In the words of Jim Collins, author of leadership classics Good to Great and Great by Choice: “There is perhaps no more corrosive trend to the health of our organizations than the rise of the celebrity CEO, the rock-star leader whose deepest ambition is first and foremost self-centric.” Far away from Silicon Valley, this is something members of the Southern Baptist Convention agonizingly have been wrestling with for the past few months. Recently I had a problem with the password filing app I use. For reasons I still haven’t figured out, some of my shared folders — “Family Finances” — weren’t showing up in the app. Yes, all of my banking and financial accounts were perfectly safe due to the nearly unbreakable 20-digit passwords featuring letters, numbers, characters and both upper and lower cases. Unfortunately, those accounts were also perfectly inaccessible to me since there’s no way an actual human being (save memory athletes) could remember them. I spent a couple of days getting the issue resolved with the app maker, after which I was finally able to deposit a check via my phone. As the Security/Functionality/Usability triangle illustrates, the more complex a system becomes (whether in the pursuit of added functionality or more stringent security), the less usable it becomes. For example, last week it was revealed that the background checks needed to screen applications for concealed carry permits in Florida had gone undone for over a year. The reason? — the official assigned to the task couldn’t successfully log into the system. A complex system of applications, information systems, cross-checking databases, and documentation all rendered useless because of a single person who couldn’t get past the login screen and didn’t pursue getting it resolved. The full Inspector General’s report can be viewed here. This Economist article provides an interesting look at how the ratcheting nature of artificial intelligence (“AI”) learning will shape the marketplace of autonomous vehicles (“AV’s”). There’s nothing inherent about a car and how it is designed, manufactured, and improved that makes a drift towards a single winner monopoly likely. However, the same cannot be said for the software and data sets needed to make those cars reliably drive themselves. And where there’s a market geared toward monopoly, strict government regulation and control won’t be far behind. It’s anyone’s guess whether that control will work enable innovation while protecting consumer interests (as intended – think Microsoft’s antitrust saga of the 1990’s), or if it will instead seek to kill innovation in order to protect the interests of politically connected groups in protecting the status quo (as perverted – think the legacy taxi cab industry vs Uber/Lyft or car dealer associations vs Tesla). Not more than an hour after last week’s newsletter went out featuring the news of the death of Kate Spade, the world of taste and celebrity was shocked yet again by the news of yet another high-profile death by suicide. This time, the victim of suicide’s lies was renowned chef, author, and tv show host Anthony Bourdain. He was 61 years old. I’ve never watched a single episode of any of Bourdain’s shows, and I’ve never read any his books. However, I saw a video of him telling the remarkable story of how he got his break from writing an article about the insider’s view of the world of the restaurant kitchen. At 44 yrs old, he sent it to The New Yorker “out of alcohol fueled hubris and on the insistence of my mom” with zero expectation of anything happening. And then everything happened. After reading that article from 1999 myself, Bourdain’s best-seller Kitchen Confidential: Adventures in the Culinary Underbelly is on its way from Amazon to my bedside reading list shortly. It’s been a little over a month since Facebook rolled out an apology ad campaign in what is being called “the largest brand marketing campaign in company history.” The apology, of course, is for the way the company allowed itself and its user data to be used and abused by others in ways commercial and nefarious. So, I’m sure we can all be confident that the user data Facebook has been sharing with Chinese phone maker Huawei — itself the target of warnings from US intelligence agencies — was handled in the most circumspect of manners. These are deep waters for Facebook CEO Mark Zuckerberg, who might as well be on a different planet compared to what he thought Facebook could become 13 years ago during his first ever tv interview. On May 25, 2018, the EU’s General Data Protection Regulation (GDPR) went into effect with much anticipation and fanfare. As the deadline for compliance loomed, companies flooded users with new terms of service to accept, while others simply took their sites offline temporarily. Embarrassingly, the EU itself failed to get its own digital data house in order: not only did the EU fail to comply with its own GDPR requirements, but its failure resulted in a leak of personal data. Naturally, the EU’s response was that it was not subject to its own regulations, which is undoubtedly true as a legal technicality, but hardly the right answer. Yes, that’s billion with a capital B. Of course, when a tech startup hits a billion-dollar payout like this, whether from being acquired by a larger company or going public via an IPO, the media coverage inevitably focuses on the founders’ story and its now well-worn arc from college dropout with an idea to mega-wealthy Silicon Valley star. As with most things the media obsesses over, such stories are true (more or less), but they are a statistical anomaly whose importance gets severely over-inflated and inspires all the wrong motivations to create something (see Holmes, Elizabeth). Far more important is the actual work done. In this case, that’s the transformative platform for coders that Github actually is. Here’s a good explanation of what Github does for us non-coders who are unaware, and here is a good explanation of why this collection of open-source (read: free) software coding work is worth $7.5 billion to Microsoft (hint: it’s strategic). In preparing for a workshop engagement this week with the engineers and research scientists with the Air Force Research Laboratory, I came across “The Kranz Dictum.” If you’ve seen the movie Apollo 13, you’re familiar with Gene Kranz, the no-nonsense Flight Director in the white vest portrayed by Ed Harris. Kranz was also serving as Flight Director on Friday, January 27, 1967, for the launch pad “plugs out” test of Apollo 1, which tragically killed the crew in a fireinside the space capsule. On the following Monday, Kranz delivered a message to his team about accountability that came to define the ethos of the Flight Control team throughout the Apollo program and beyond. As good as it reads, it’s even better hearing it delivered in Kranz’s own words, by memory decades later. The worlds of business, fashion, and pop culture were all stunned by the news of the death of Kate Spade, the founder and designer behind the fashion brand of the same name. The shock turned darker when it became known that the premature passing of the 55-year-old icon was the result of suicide. It now appears that Spade’s death was the result of the combined effect of an ongoing battle with depression and the recent request by her husband for a divorce (a claim he has publicly disputed while admitted they were living separately and parenting jointly). If anyone reading this is suffering the battle of fighting depression, please know that fighting it alone in the dark is playing into depression’s lying hands. I say this as someone who knows from experience. I take an anti-depressant every day, and have for the past five years now. Depression isn’t a disease of the disappointed or the destitute. It can strike into the mind of anyone in any station in life, as Spade’s tragic ending shows. For me, my depression became acute at the very time in my professional career when I was the highest and “didn’t have any reason to feel depressed.” The effects of depression are real, clinical, and treatable, but never from the position of isolation depression pushes its victims into. Reach out for help before making an unreversible choice. If it’s a loved one of yours who is the one suffering, the New York Times has some tips from experts on how you can best help. 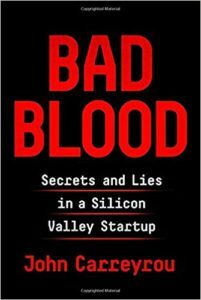 In his new book — Bad Blood: Secrets and Lies in a Silicon Valley Startup — Wall Street Journal reporter John Carreyrou details the rise and fall of Silicon Valley blood testing startup Theranos and its now disgraced founder, Elizabeth Holmes. While rightfully touted as the biggest corporate scam since Enron, this book is equally a powerful example of the wages of a toxic leadership and a dysfunctional culture. In an interview with WCCO (CBS affiliate) in Minneapolis, Media Minefield CEO Kristi Piehl explains the value of advertising dollars spent apologizing for corporate screw-ups, from Facebook to Uber to Wells Fargo. Of course, as she points out, it’s much cheaper and more effective to be accountable sooner rather than later. Attendees to this year’s Code Conference were once again treated to “the most highly anticipated slide deck in Silicon Valley.” Kleiner Perkins partner Mary Meeker delivered her rapid-fire presentation of a mind-boggling amount of data on the macro-level trends of the internet and tech worlds. In Meeker’s words, the information in this powerpoint file is meant to be read, not presented, so Kleiner Perkins makes the entire 294-page slide deck available to all on Slideshare. There’s an Old Testament concept of the consequences of the “sins of the father” being felt far into the future by the third and fourth generations. I couldn’t help but think of this when I came across this fascinating article in The Economist describing how stressful life experiences like childhood abuse and neglect can alter a child’s DNA in ways that then get passed on to the next generation. The method of passing these changes on? — two specific microRNA molecules within the male sperm.